Attention - all builders and buyers looking for alittle elbow room off the beaten path - Beautiful acreage privately tucked away from the main rd. with a 50' wide driveway where the sign is located for ingress and egress to the property. Mostly cleared with a backdrop of trees. GOOD SOILS - HAS perked in the past. 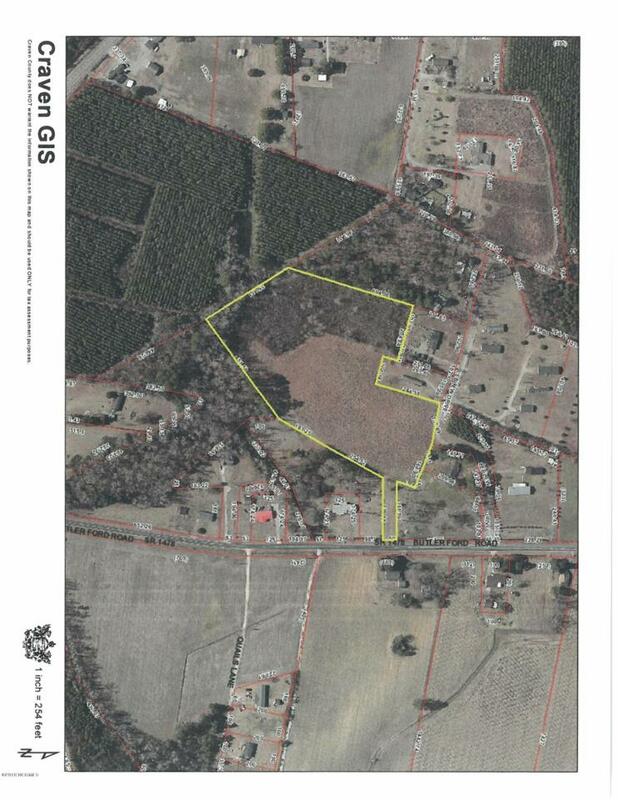 Property can be subdivided and would be perfect as a small 4 homesite development. Original health department permits attached for reference. Listing provided courtesy of Linda Holland of Coldwell Banker Willis Smith - New Bern.